Beginning in January, Westside Family Church will begin a new series centered around the 10 Key Practices found in the Bible that will equip us to win at life. I have written this blog to encourage and inspire you to fully engage with us on this journey. Do you not know that in a race all the runners run, but only one gets the prize? 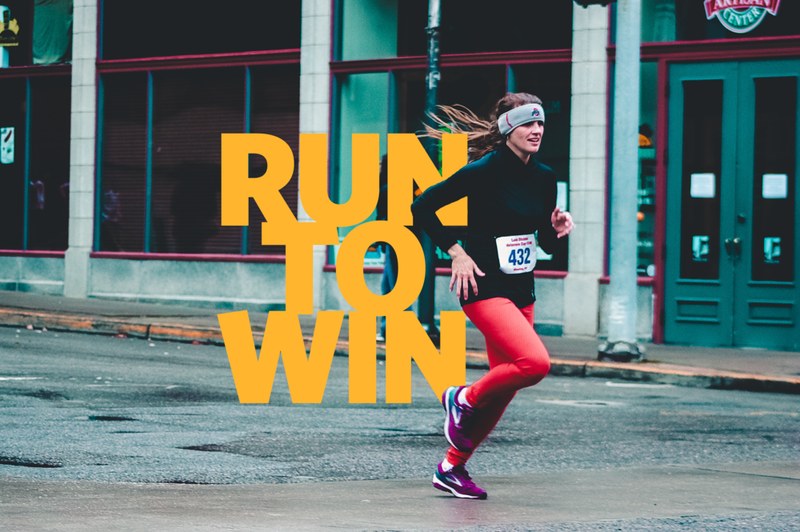 Run in such a way as to get the prize. Everyone who competes in the games goes into strict training. They do it to get a crown that will not last, but we do it to get a crown that will last forever. When I was in my third year of college, I decided to sign up for our small Bible Colleges racquetball tournament. There were three flights – A, B and C. The A flight was for the best players. I believed I had a strong chance to win the A flight, but I was going to sign up for the C flight for two reasons: 1) While I am an excellent athlete with insane hand-eye coordination, the truth is I’ve never played a game of racquetball in my life. I did play a little tennis; how hard can it be? 2) I really, really like winning and I would most definitely dominate in the C flight. My plan, win the C flight in my junior year and then win the A flight my senior year, going out as the reigning champ (to all the young people reading this blog, it’s important to set goals…yes it is). (to all the young people reading this blog, it’s important to set goals…yes it is). The first thing I did was go shopping. You must dress for success. Stepping onto the court looking like a pro intimidates your opponent. I purchased a navy-blue pair of shorts with the Spalding brand stitched in white. I purchased a white colored shirt with the Spalding brand stitched in navy blue. I added two white wrist bands and a white head band. I doubted that in the C flight I would even break a sweat, but I was going for the look. To finish things off, I bought a powder blue racquet. Didn’t want to be all “matchy, matchy” with the navy-blue outfit. The game was best out of three. The first match, he won 21-3. That meant I had to win the next two games, or I would be eliminated in the first round…in the C flight. I had to come up with a different strategy. Since I was in better shape than my opponent, I decided to try harder, move faster. As this guy just stood in the middle of the court, I ran all over the court like a chicken with its head cut off. Within a few minutes the second game was over. I lost 21-5. Eliminated in the first round in the C flight. With bruised ego in tow, I walked out of the court hyperventilating, leaned against the wall, and slid down to the ground. Not knowing what to say, Rozanne patted me on the head and we went home. Why did I lose the game? It’s simple. My opponent actually knew how to play racquetball. I on the other hand only looked good. · How do I honor God in the way he deserves? · How do I grow by communicating with God? · How do I study God’s Word? · How do I keep my focus on Jesus amidst distractions? Does training work? Let’s fast forward several years after my miserable racquetball debut. I eventually picked up the racquet again and really learned how to play. Result? I won a bunch of tournaments…while still looking good, I might add!